Softball - looking ahead to next year . Thread: Softball - looking ahead to next year . Re: Softball - looking ahead to next year . I have mixed feelings on Saile . When she is on she can beat anybody , as she proved vs us and Florida . She also had some games when she wasn't that impressive . In a game FIU had to have to make the NCAA tournament she got clobbered by Middle Tennessee . I'd like to have her , but I'm afraid expectations might be a little too high for us if we got her . If I had my choice , I'd rather have a big hitter in the middle of the lineup . Oklahoma did a great job with Page Lowery when she transferred from Missouri , so they have that going for them . She is from the state of Florida though , so us or Georgia might be the easiest drive for her parents . The good thing for us is we have choices if she was having a off game you go with Drotar or Oh or Dixie. I’m ready to see Vaughn throw it’s nice to have a lefty. 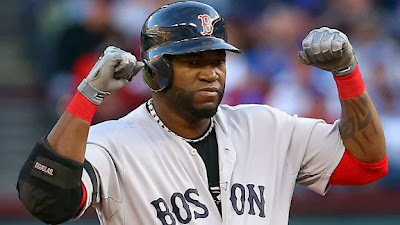 I would love for us to get a first baseman who can hit for power but haven’t heard of any visitors that fit that mold. Hopefully the freshman come in ready to play. It’s a athletic group and hopefully with another year under their belt our returning players improve from last year. I’m excited to see this group play. Yeah , she wouldn't have to throw as many innings for us , and that should help her consistency . If she goes to Georgia , they will start her every other game and pitch her in relief the other games ( the way they tried to do with Gray last year) . Have you heard what happened with Victoria Galvan ? Did she transfer somewhere ? I'm hoping Drotar will continue to improve as a hitter ( I thought she was swinging it pretty good late in the season) and can give us a power hitter in the middle . If Kumiyama can get her weight down so that she can play first she certainly has power potential - 10 home runs in a little over 100 at-bats . Jana Johns is capable of improving her numbers as well . I think Heath can be a hitter similar to Boesel , maybe with more power . Just depends on how quickly she adjusts . I'm more excited about the team than I have been in years . Galvan transferred to Maryland i think. McGuire, Boesel, Clark, Drotar, Johns, Kumiyama that’s a pretty good returning group. I really like the infield but it will be hard to replace Whitey at first. I think centerfield will be in good hands with Hayley and I’m hoping Karly can play right. Those 2 have a lot of speed and some pop to go along with it. Haven’t seen Jordan play hopefully her or vest can handle the catcher position. How tall is Madison? Maybe she could play first? I think this team will be very athletic. I expect the pitchers to get even better with another offseason working with coach Bev. I saw Madison Owens play for the first time in the South Carolina all-star game . I would guess she is around 5-6 but I never saw her up close . In the Georgia Impact games I watched on Flo last summer Karly Heath usually played right-field or left-field . She will be fine out there . Of course , Karly is tall enough to play first base if USC wanted to go in that direction . Her athleticism would be sort of wasted there though . I expect Jordan Fabian to catch most of the time , with Vest catching some . Both good defensive catchers , but Fabian should be a better hitter . On that Georgia Impact team , in the games I saw when Fabian wasn't catching she was still in the lineup ( third base or DP) , usually batting 5th or 6th . I don't really know , but I'm guessing Alex Fulmer might be the third catcher . She has some catching experience . I watched Kumiyama try to catch a couple of innings up at Winthrop last year and it didn't go that well . Probably first base or DP for her . Thanks for the insight. Hope the team can take the next step and host a Super regional this year. Nice transfer from Gardner-Webb . Katie Prebble , first baseman was freshman of the year and player of the year in the Big South . Hit .438 with 23 home runs . If she can hit half that many home runs and 100 point less in batting average she will be a great pick up . Does she have to sit out a year? No . Only in-conference transfers have to sit out a year . Incoming freshmen Karly Heath & Jordan Fabian will be playing on ESPNU tonight ( 7-27, 7:30 pm ) for the Georgia Impact travel team in the PGF Premier national championship game . I assume the game will also be available for a while on WatchESPN . Good start for both gamecocks . Fabian with a 2-rbi double off the wall in the first . Heath with a line drive single in the second . Great game ! The Georgia Impact won it . They scored four in the bottom of the 6th and won 6-4 . Fabian played first base and had a pair of doubles and 2 rbi . Heath was DP and had two line drive singles and a walk . If this is the pitcher from White Knoll , I think she's committed to Gardner-Webb . Yes, correct on both counts. Apparently GW fired several of their coaches including the coach that recruited Andrea. She is looking for other options at this time. That's interesting . Former gamecock Chelsea Hawkins was evidently let go , along with one of the other assistant coaches . This evidently happened in June . Since then , G-W's best hitter transferred to USC and their shortstop left for UNC-G . Not sure what happened up there , but seems like they didn't do too good a job with damage control .